How to watch Little Baby Bum: Nursery Rhyme Friends: Season 1 (2017) on Netflix Canada! 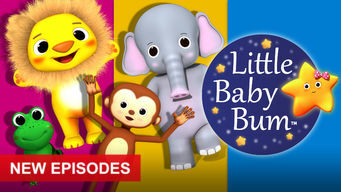 Yes, Little Baby Bum: Nursery Rhyme Friends: Season 1 is now available on Canadian Netflix. It arrived for online streaming on October 3, 2017. We'll keep checking Netflix Canada for Little Baby Bum: Nursery Rhyme Friends: Season 1, and this page will be updated with any changes. Twinkle, Mia, Jacus and the rest of the Nursery Rhyme Friends perform catchy tunes for the little ones. Season 1 of Little Baby Bum: Nursery Rhyme Friends has 3 episodes. Because different Netflix countries have different availability for episodes, you'll need to check the episode listing below to see which are available in Canada. Nursery rhymes and original music for children accompanied by bright, playful animation engage and educate about numbers, shapes, colors and more. 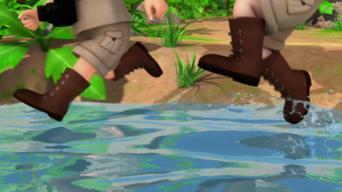 Young children can sing along to more nursery rhymes and peppy tunes featuring animated buses, pandas, ducks and more. Combining bright colors with playful animals and catchy tunes, this collection of kid-friendly animation teaches counting and clapping.